When faced with a survival situation, the stress that occurs can cause a wide variety of reactions in people. 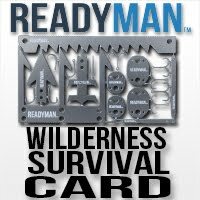 A proper response to a survival situation can be achieved with the proper training and preparation. Quite often people react to the immediate stress of a survival situation with inaction. They will literally find themselves frozen in place and unable to take the necessary actions that may be needed to help them survive. They have literally fallen victim to the “Popsicle Syndrome”. They will suddenly be unable to take the required measures to allow them to effectively react to a survival situation. Training drills are an effective way to help combat this problem. With the proper training, you won’t suffer from the information overload that can cause you to stress out to the point where you are suddenly “frozen in place” and unable to react. You need to train your brain to react in a positive manner when confronted with difficult situations. A lack of inaction on your point can decrease your chances for survival. When conducting emergency drills at work, it is not uncommon for persons in my charge to literally freeze up. The flashing lights and warning sirens may not even be enough to shake them out of their stupor. They stand there like a test dummy and may not even react when confronted by someone else who is trying to get them to respond to the threat. If they were on a sinking ship, they quite literally wouldn’t be able to don a lifejacket...even though it could mean the difference in their ability to survive. 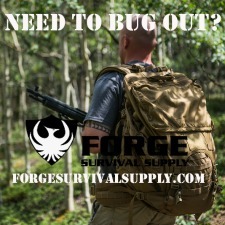 Training will enable you to take the proper and necessary action in a survival situation and it will be a key factor in your ability to survive. You will not only be able to recognize what needs to be done but you will have the ability to get it done. Being prepared to face a threat by properly training your mind and your body to respond accordingly will give you a definite advantage in a survival situation. You don’t want to be a “popsicle” when things start to heat up. While it's hard to prepare for every scenario, running a few practice drills will get you used to what has to be done. Absolutely. If you've trained enough, you should be able to get up in the morning, understand what has happened, and be performing the correct actions long before you've actually really woken up. Your mention of a sinking ship reminded me of Navy boot camp. After constant instruction, over and over, we were taken to a "model ship" which was floating in a large pool. After we were locked below decks, valves were opened to simulate direct hits. We were told beforehand that we would just be touring a mock-up to familiarize ourselves with a real ship. After watching water pour in a few seconds, we realized we were to stop it, and soon recognized items strewn about which could be used to plug things up. Afterward, the instructor pointed out that it's better to practice in these controlled conditions, than in the middle of the ocean where the nearest land is 5 miles down. Freezing in place - that has occurred to me. Many years ago, a coworker and I were moving a small copier when the liquid toner began leaking onto floor. I froze after putting it down - my coworker ran and got some paper towels to soak it up before the floor tile absorbed it. Great story about how training to handle an emergency works. When my Dad was teaching me some outdoor survival skills he handed me the top of a mayo jar and said - "read this, all you need to know for now". It said "keep cool, don't freeze". Sounds like your Dad was indeed a very wise man...a trait that is becoming in short supply nowadays. This is very much important to keep updated for survival situations.